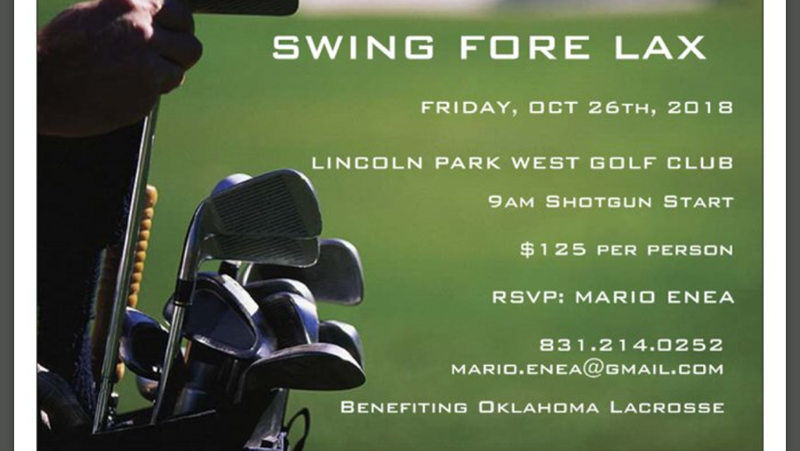 Includes: green fee, 1/2 cart, range balls, breakfast, cocktails, buffet lunch, contests, awards and fabulous player gift bag. ​No Denim or cut offs. Collared shirt must be worn and tucked in at all times. Caps must be worn forward, and all guests are asked to remove their caps when entering the club house. 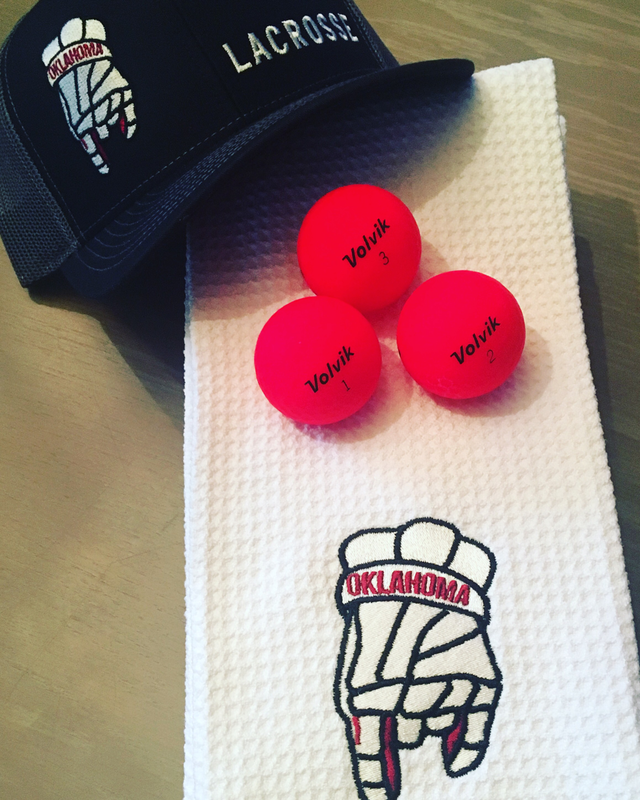 Mulligan Balls - $80/team - Must purchase before play begins. Allows for 5th shot, every shot. Use it until you lose it! 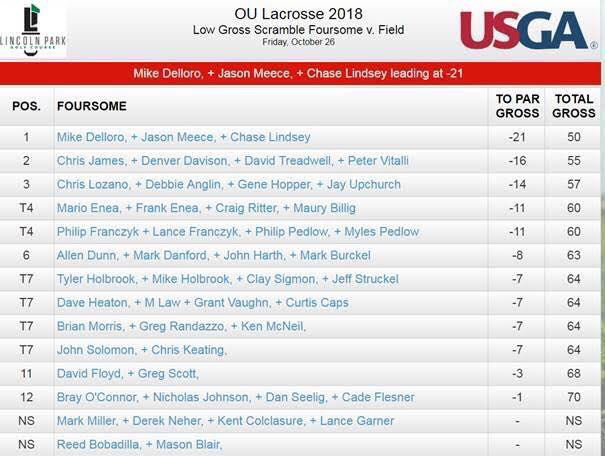 Move on Up - $40/team - Hole # 16 May purchase before play. Move up on tee box to position marked. 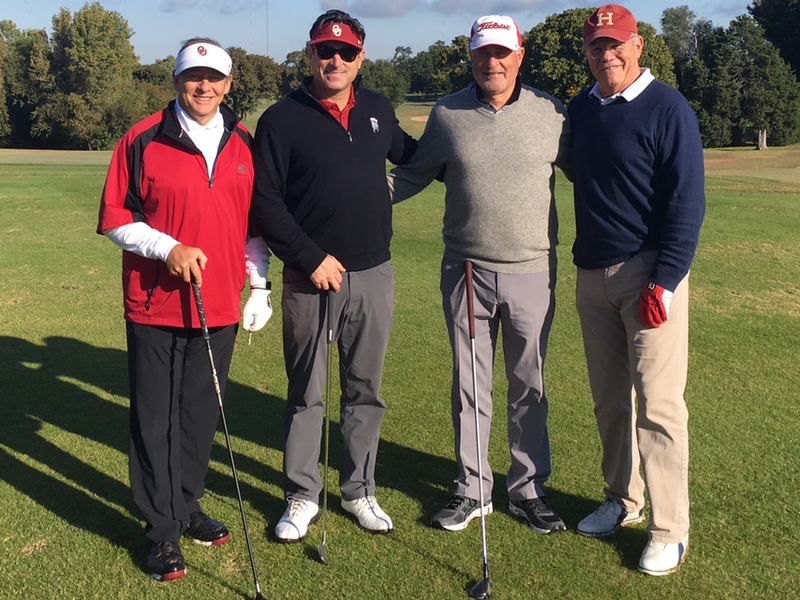 Dice Roll - $30/team - Hole # 1 May purchase before play. Each player rolls the die. The LOWEST roll is recorded as your score. 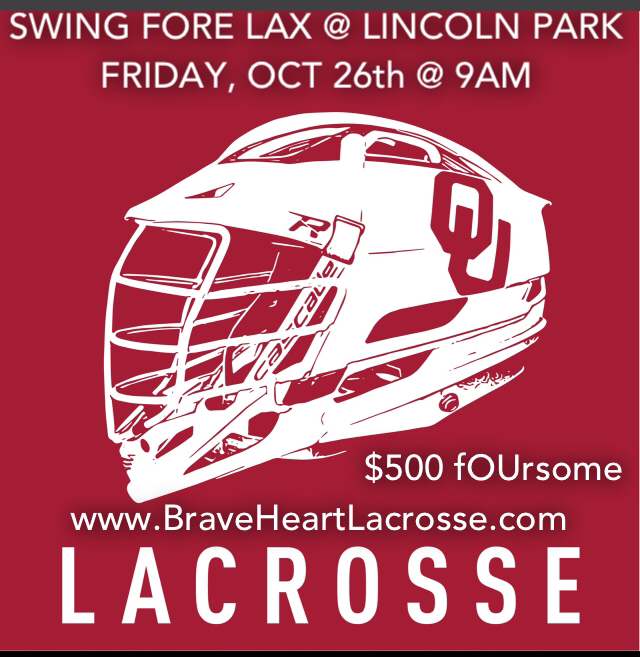 This event will benefit the University of Oklahoma Men's Lacrosse Program. 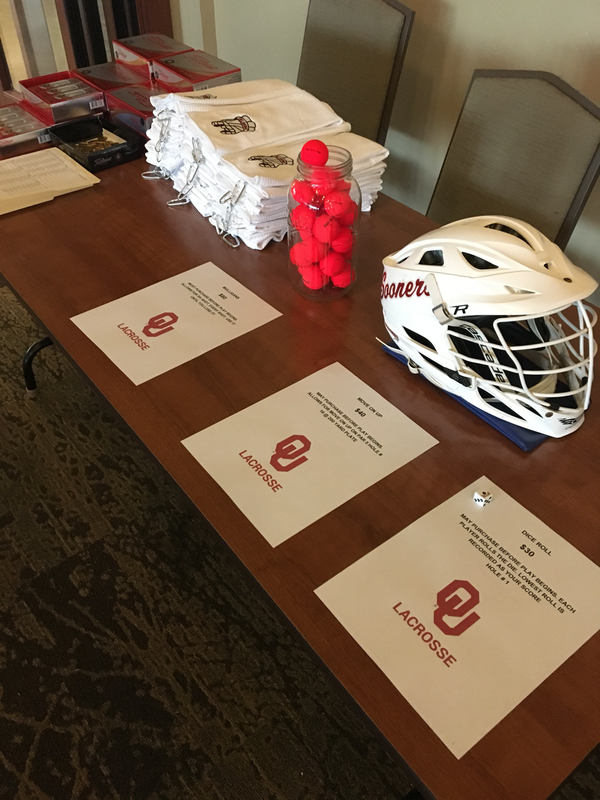 The lacrosse program does not receive any funding from the University and is challenged to even find playing fields to host games against other schools including: Texas, SMU, TCU, Arkansas, LSU, OSU and others. 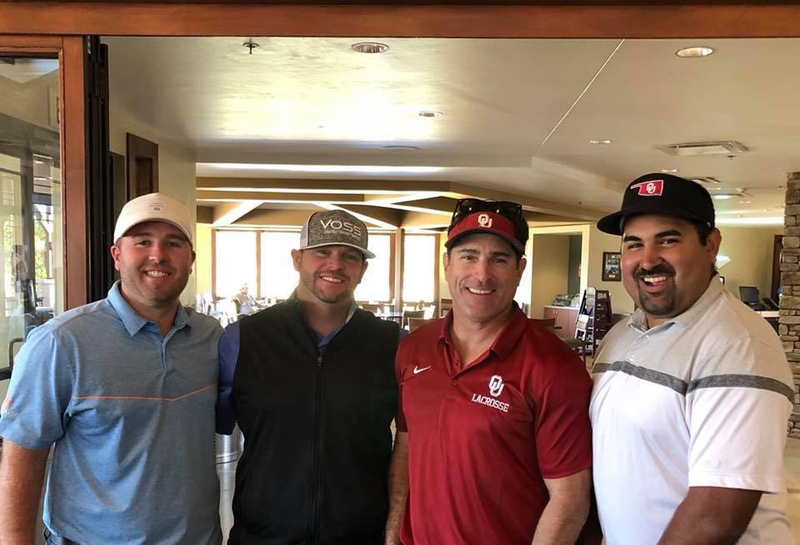 We play the same type of schedule as our football, baseball and basketball teams play, along with having trips planned to meet nationally ranked teams such as Florida, Arizona and Arizona St scheduled for 2019. Thus, any participation or support is greatly appreciated. ​These room blocks release October 12th, so book today!